Affordable, versatile mini PC with Windows 10 Pro (64-bit) pre-installed - for office operation and industrial application; an ideal digital Signage, pos, and thin Client solution. Produce stunning visuals, Native 4K output & Multi-Display Ready - with HDMI and mini DisplayPort outputs available. VESA mount included. Fan less, passive cooling design. Silent solution that's Ultra energy-efficient - excludes any moving Parts; it's 100% solid state components provide longer Product life. Tiny form factor equipped with a Full range of connectivity options. 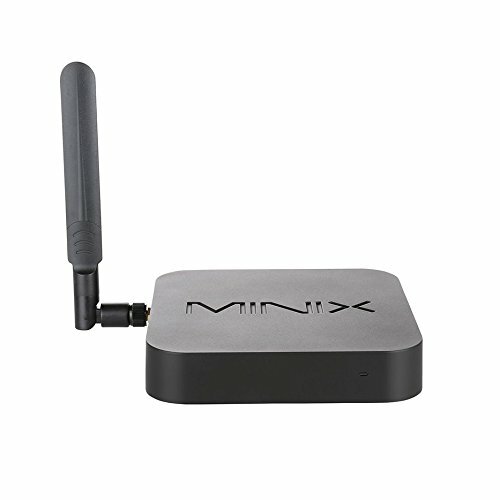 Dual-band 802.11ac Wi-Fi, Gigabit Ethernet port, Bluetooth 4.2, HDMI 1.4, mini DisplayPort, USB 3.0, and more. Auto power-on option - can be enabled within neo z83-4 pro's bios menu. VESA mount allows Full access to all ports and Power button, and does not affect the Wi-Fi or Bluetooth performance. Yorkshire Portable DIY Cardboard Smart Phone Projector, Smartphone Cinema In A Box, Fits All Phones.